The following is an overview of human rights violations in Iran on December 6th, 2018 based on the information compiled and verified by Human Rights Activists News Agency (HRANA). Human Rights Activist News Agency (HRANA)- Dejected at the Judiciary’s broken promise to return him to his native Turkey, ailing 70-year-old prisoner Hatam Ertoghlu declared hunger strike November 9th. 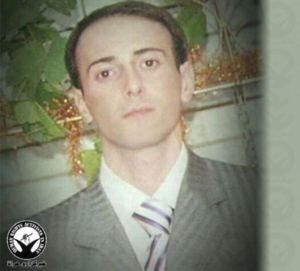 Currently held in Urmia’s Ward 4-3, Ertoghlu has been behind bars for the past nine years on drug-related charges. According to a close source, he has had multiple hospital admissions for various ailments, not least of which was a heart attack. 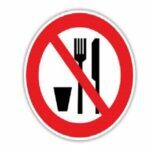 Undeterred by his physical distress, old age, and cardiac disease, Ertoghlu is now starving himself in protest. 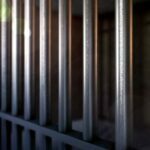 Ertoghlu initially faced a sentence of life in prison, which was commuted to 24 years in 2017. Human Rights Activist News Agency (HRANA) – A mass hunger strike of Urmia Central prisoners of conscience ended on its fifth day after prison authorities engaged to addressing prisoner complaints of rampant abuse. Strikes were underway as of October 16th, when prisoners launched a protest against a violent raid of the Political Ward (Ward 12) by special forces that left a number of prisoners wounded. Divided between Ward 12 and the Youth Ward’s prisoners of conscience, protesters declared that the restoration of their legal rights would put an end to the strike. In a recently-issued statement, strikers asked inmates’ families to appear at the front gate of Urmia Central on October 21st to demand justice for those inside. The statement impelled the head of the prison to invite groups of strikers for a sit-down in the prosecutor’s’ office– an invitation they declined, a close source said. During the hunger strike, at least one prisoner, Habib Amini, was sent to the prison clinic for treatment following a decline in his health. “Pursuant to the hunger strike of political prisoners and prisoners of conscience at Urmia Central Prison that began October 16, 2018, the families of these and other prisoners are asked to appear before the Central Prison of Urmia on Sunday, October 21st to demand restoration of the legal and Shari’a-granted rights of their children, in a show of support for their legal and judicial demands. This protest is a declaration of dissent with the extraordinary oppression and discrimination faced by prisoners and their families in this city. In a state of material and psychological insecurity, prisoners here live under surmounting pressures. We hope that officials have the compassion to reduce this targeted oppression. The Ward-12 raid occurred on the evening of October 15th, when political prisoners came to the defense of one of their comrades who had been physically assaulted for arguing with prison personnel. In response to their objections, authorities and special forces, numbering more than 50 and armed with with batons, tasers, and tear gas, stormed the political ward and laid into the inmates there. That same night, authorities assaulted and injured a number of prisoners of conscience in the Youth Ward. Kamal Hassan Ramazan, Ahmad Tamooie, Osman Mostafapour, and Touraj Esmaili were among the first prisoners beaten in response to their objections of a group assault on their wardmate Hamid Rahimi. Personnel identified only as “Eskandar” and “Rezaie” reportedly commandeered additional Urmia prisoners to deal blows to the four men, breaking bones and teeth, and cutting one of them with a sharp object. Ramezan, Tamoo’i, Mostafapoor, and two more Ward-12 bystanders, Hassan Rastegari and Kamran Darvishi, were among those injured in the onslaught that followed. The latter two were transferred to solitary confinement; Rastegari has since been returned to Ward 12. “Hassan Rastegari was badly bruised all over,” the source said, adding that prison authorities then sicced fellow prisoners on political detainees for a second time. Urmia Central Prison authorities have a history of ruling my corporal punishment. On October 8, 2018, prisoner Morteza Zohrali’s right arm was broken in a beating by prison officials; On September 23rd, Youth Ward inmate Javad “Arash” Shirzad was sent to an outside hospital for treatment of a concussion sustained at the hands of “Bayramzadeh,” the prison’s internal director; in July, Saeed Seyed Abbasi was beaten and sent to solitary confinement without treatment of his injuries, all for arriving late to the prison yard for recreation time; and in May, according to HRANA reports, prisoner Saeed Nouri, a former IRGC lieutenant, was beaten by two personnel in the internal director’s office. Reports indicate that political prisoners and other prisoners of conscience are more vulnerable than others to the gamut of inmate abuses. HRANA previously reported on a September 18th raid on Ward 12 by special forces, where guards pilfered and destroyed the prisoners’ personal belongings, including food they had purchased themselves. HRANA News Agency – Four prisoners were executed in the central prison of Urmia on charge of committing murder on November 13, 2017. 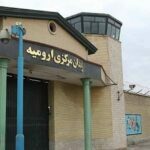 HRANA News Agency – Four drug offenders were hanged in the central prison of Urmia. HRANA News Agency – A prisoner was executed on charge of “murder” in the central prison of Urmia. 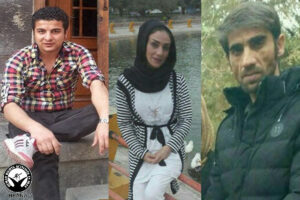 HRANA News Agency – The death sentences of four prisoners with drug related charges were executed in the Central Prison of Urmia. 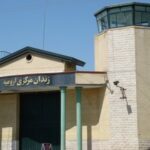 HRANA News Agency – Two prisoners with the charge of murder were hanged in the central prison of Urmia. HRANA News Agency – The death penalty for drug-related charges of at least two prisoners were executed in the central prison of Urmia.